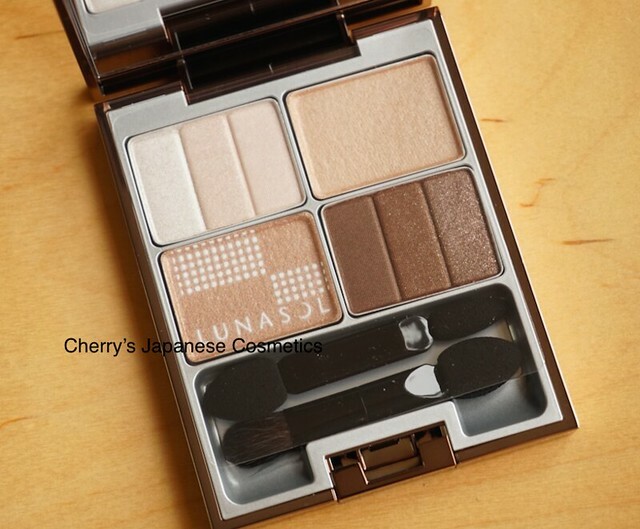 This beautiful eyeshadow is from Lunasol Summer Kit 2016. 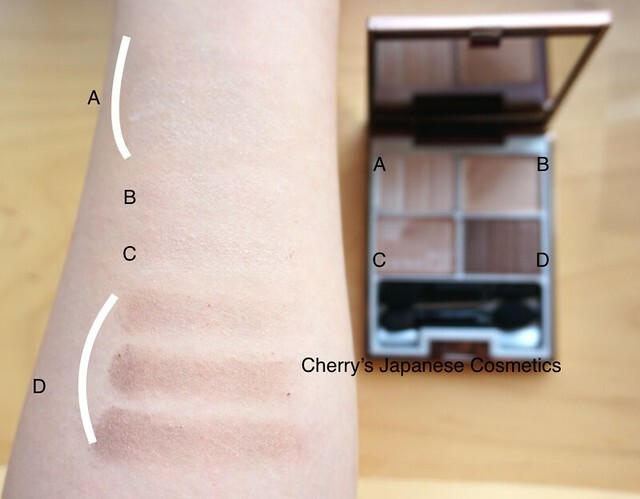 Let me show you the swatch. Oops, to be honest, I could neither show you A, nor the difference of B & C.
In my eyes, A and D were 3 kind of glitters each, and the quantity of glitters were different. Just compared with Skin Modeling Eyes #01 Beige Beige, I liked that, but I prefer this Three Dimensional #EX02, this one is MORE small glitters! B & C are a little bit different. Beautiful eyeshadow! This one is limited, and there are regular of THREE Dimensional Eyes.